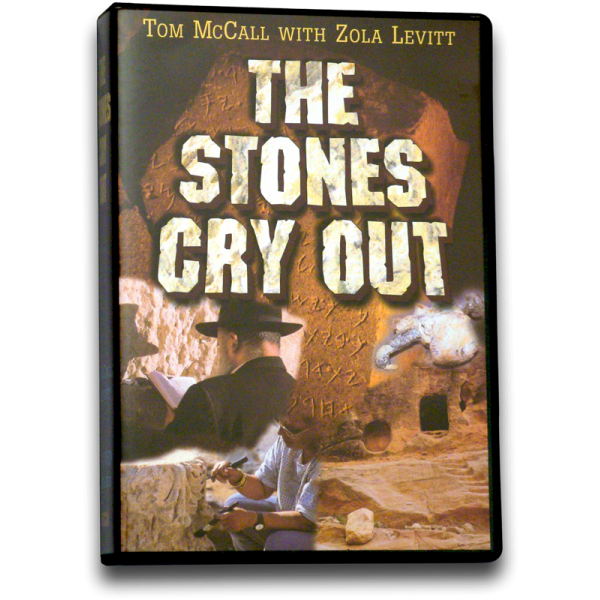 (12 programs on 3 DVDs) Zola and his TV crew journey to Israel and Jordan to bring you archaeological discoveries that illuminate the Bible and validate its accuracy. Zola takes a tour through the Hasmonean tunnel that runs along the outside of the Western Wall of the Temple Mount. From Jerusalem we get a journalist’s perspective on the Palestinian uproar that occurred in September 1996, when the tunnel was opened to the public. A recently unearthed marketplace provides clear visual evidence of the Roman destruction of the Temple and its surrounding walls. Then we travel north to Mount Gerizim to view the excavation of a Samaritan temple that was patterned after the great Temple in Jerusalem. Many first-century finds are being unearthed at Caesarea, an ancient city on the Mediterranean coast. The first extra-biblical reference to Pontius Pilate has been found there, as well as a full-size temple replica. In northern Israel, the “House of David” has been confirmed archaeologically for the first time at Tel Dan. We also discover there an altar complete with metal shovels. At the Bible Lands Museum, we find a model of Jerusalem as it would have looked in 586 B.C. Then we go to the City of David and examine the architecture of a four-room house, the typical living quarters of the ancient Israelites. Recent excavations at Hazor have unearthed various artifacts, including idols from the time of the Canaanites. Also, evidence has been found that confirms the burning of the city recorded in Joshua 11. Next we examine not only the prophetic significance of the Valley of Armageddon, but also the archaeological finds that have been discovered at Megiddo. 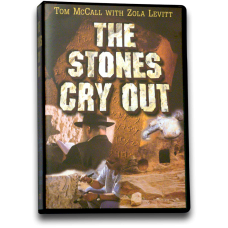 In Jerusalem, Zola explores the history that has occurred at the Citadel, which is also called “David’s Tower.” Then we discuss archaeology’s place in illuminating Scripture, and also hear from a spokesman with the Israel Antiquities Authority. In New Testament times, the city of Zippori was a thriving cultural center in the Galilee that probably had a great impact on the life of Jesus as a boy growing up in the nearby town of Nazareth. Going back to Old Testament times, we travel to the precise location discovered for Ekron, one of the five prominent cities of the ancient Philistines. Just over a hundred yards from the Garden Tomb is another chamber of tombs that authentically date from the time of the first Temple. These tombs help us to better understand the burial customs of that day. We then go to Qumran near the Dead Sea, to the cave where the first Dead Sea scroll was found. In biblical times, a business relationship existed between three cities located in the Jordan Valley: Beit Shean, Rechov (west of the Jordan River), and Pella (east of the Jordan River). Today, these sites are in different stages of excavation. We visit each one to examine the significant finds and establish their relationship to each other. The ancient people called the Nabataeans were famous for their skill in rock carving. We travel to Petra, their capital, situated southeast of the Dead Sea in the modern kingdom of Jordan. This “rose red” city is known around the world for its magnificent buildings carved into the native rock. The Rockefeller Museum in Jerusalem proudly displays a man’s heel bone that has been pierced by a nail. This is a significant discovery, since it is the first archaeological proof of Roman crucifixions in Israel.